When children attend Bertschi, they become part of a life-long community of individuals who understand the importance of compassion, confidence and creativity in living a balanced and active, community-centered existence. Bertschi kids realize life is a continual discovery process and that learning and growing never stop. "I actually don't think about sharing my ideas, I just do." "My teachers have encouraged me to write and apply the power of my creative mind." "Bertschi got me so excited to learn, and when you're excited about something you'll do everything you can to learn about it." "As I prepare to go to middle school I am not afraid to write essays, do math, spelling, and I am certainly not afraid to be wrong." "The most important thing I ever learned in drama is that I have enough courage to speak in front of many people." At Bertschi, children discover and explore their unique gifts and are encouraged to share these gifts and their opinions with their community and the world. Upon graduation, they’re self-assured and skilled in their work, broad-minded in their thinking, and prepared academically and socially for the challenges of middle school. We take pride in knowing Bertschi kids learn to be compassionate, confident, and creative individuals here on campus and then go out into the world both able and eager to contribute meaningfully to their communities as middle schoolers, high schoolers, college students and adults—and they stay in touch with us, too! 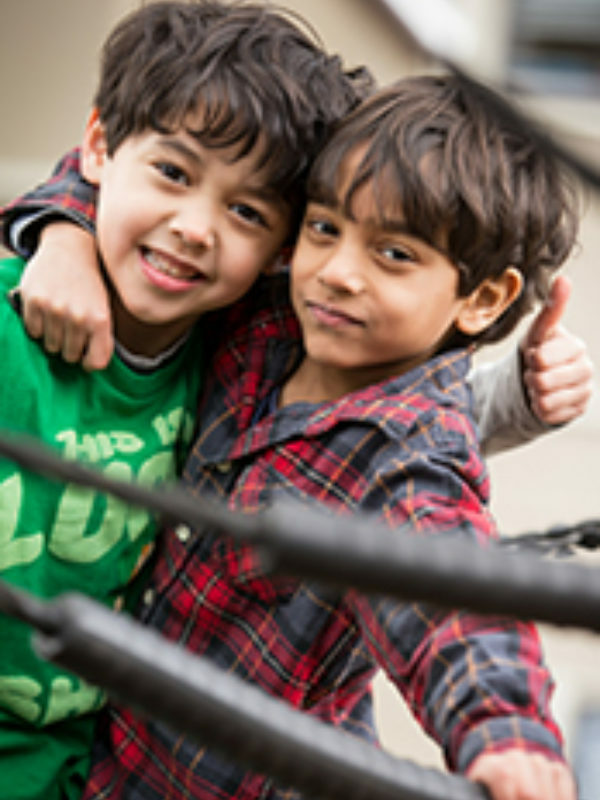 "Bertschi kids are truly empathetic - they recognize that their friends and classmates are different from themselves. This ability to adjust their ideas to accommodate others is a critical skill in our increasingly global community. Bertschi kids understand each other's stories, and they value them. The school guides them, and teaches them how to show respect for diversity."